I’m not sure why you’d want or need electronic shifting for a mountain bike, but if you do, you’re in luck! Shimano now makes such a device. I question the reliability of this though…I just can’t imagine this being comparable to a manually operated derailleur. Neat gimmick though. You can read more at gizmag:Shimano announces XTR Di2 electronic shifting for mountain bikes. 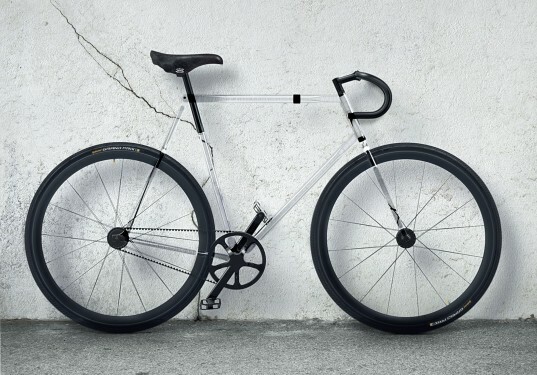 By using a special type of plastic, designers at Designaffairs Studio made a bicycle with a transparent frame. It’s perfect for the cyclist who worries that they stand out too much in traffic and want to just be less visible. Yes, that’s a joke. I mean really, aren’t cyclists usually going out of their way to be MORE visible? Like the ‘light up like a Christmas tree’ bike light system I wrote about here previously. The one way I could see this transparent frame being of any benefit whatsoever is if you pack it full of bright LEDs, so you have a glowing frame. It wouldn’t help much during the day, but at night, no one is going to miss you! 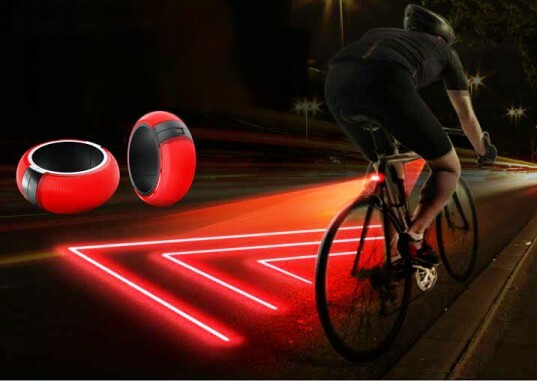 If you’re biking on the roads in the dark, you might be interested in these lighting solutions which dramatically enhance your visibility. The first, pictured here, is not a shipping product yet, just a concept…but looks interesting. It uses a laser to project a ‘safety zone’ on the ground around you to increase your visibility to drivers, and also to signal turns. Read more about it here. I saved the best for last though. Shipping now (for $250) is a wheel-mounted LED lightning solution from Revolights that is somewhat reminiscent of the Tron light cycles. Each wheel gets 8 LEDs, but those LEDs are switch off and on, depending on the wheel position…with the next result being a band of red LEDs on the back of the rear wheel, and a band of white LEDs at the front of the front wheel. Check out the video below to see these in action. 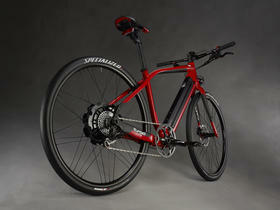 Specialized Bicycles has unveiled a new electric-assist bicycle, the Turbo. Like other e-bikes, it uses an electric motor to supplement normal pedaling, offering both higher top speed and increased range. In this case though, it’s that top speed that’s a bit of a problem. It seems the aptly-named Turbo is just too fast to be legal in many places (like the US), topping out around 28mph. So for now, availability is limited to some areas of Europe, but it also seems that a simple design tweak could reduce its top speed to a more legal level for broader appeal. More pictures can be found here, or check out the video below. With gas prices rising and expected to continue to do so for, well the rest of our existence, alternative forms of transportation are becoming more and more appealing. Electric bicycles are one option that offer some great functionality with few compromises. 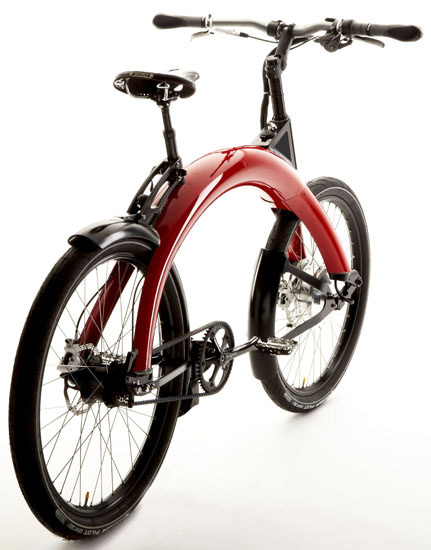 Towards the higher end of the spectrum is this $6k PiCycle Limited bicycle from Pi Mobility, which offers a 35-45 mile range at 30mph. Sure, it’s pricey for a bicycle, but when you view it as more of a replacement for a car, it becomes incredibly attractive, especially when you consider the very low maintenance cost and low energy costs. They also made a cool commercial for this, check it out after the jump below.